New York Medical Malpractice Attorney | Bronx, Brooklyn Injury Lawyer | The Pagan Law Firm, P.C. If you or a loved one has been hurt and are looking for a New York injury lawyer to represent you, there is one thing that matters most: RESULTS! Results come from experience, hard work, and dedication. Results come from attorneys who dedicate themselves to protecting the rights of injured people. Results come from attorneys who are experts in a few areas, not attorneys who practice all and are masters of none. Do you have the resources to hire medical experts? Do you have the resources to take my case to trial? Will you aggressively push this case? 1-800-PAGAN-911 (1-800-724-2691) to speak with a dedicated New York injury attorney. It is extremely important to consult with experienced and qualified attorneys at an elite New York law firm. If you choose an attorney who lacks the experience or resources to consult with a medical expert and fails to consult with the appropriate medical experts, your claim will be lost before it even begins. We believe it is essential to review your case in consultation with the top doctors in the field. We work with board-certified medical experts to analyze each and every injury and seek the maximum possible compensation for your pain and suffering. We guarantee you that we will work harder and dedicate ourselves more than others in our fight to assure you receive the money you deserve. In fact, as a mark of our excellence, many of our cases come to us on referral from other lawyers! We are Trial Lawyers. We're Not Afraid to Fight for You in Court. New York and New Jersey injury cases are tried before a jury, which is comprised of members of the community where the trial is held. 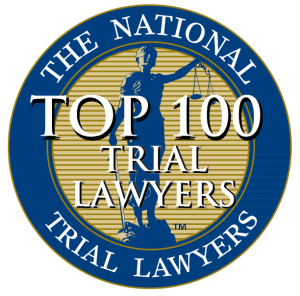 We are a trial law firm and thus, the jury is the heart of our practice. Over the many years of our trial practice, we have found that jurors are smart and caring and do seek the truth when they are deliberating. This is why our firm only accepts meritorious cases in which our client has suffered serious and permanent injuries. For these very reasons, you need to be represented by qualified trial attorneys who are experienced in the courtroom. Because we know the tactics used by the defense to defeat your case, we know how to prepare your case to avoid their traps and obtain the compensation you deserve. If you need a New York or New Jersey accident attorney who will work longer, fight harder, and fully dedicate themselves to obtaining the compensation you deserve, then you need a New York accident lawyer at The Pagan Law Firm. Contact us today via our convenient live chat feature, by filling out our quick online contact form or calling our office at 1-800-PAGAN-911 (1-800-724-2691) for a free consultation regarding your New York, Bronx, Brooklyn, Queens or New Jersey injury case. If your child was severely injured at birth because of a doctor or medical professional's negligence, you need an attorney. Call 1-800-PAGAN-911 (1-800-724-2691) to speak with a New York birth injury lawyer at The Pagan Law Office. We will fight for your child and demand compensation for the pain you have both endured. If you have been injured by medical malpractice, you life may be changed forever. You need someone to stand up and fight for all that you have lost. Contact a New York medical malpractice lawyer at Pagan Law Firm for a free consultation about your injury case. We accept cases throughout New York and New Jersey, including Manhattan, Queens, Brooklyn and Bronx. Has your life been shattered by a New York transit accident? Has your baby been seriously injured by a defective product? Have you completely lost the trust you once had in companies who are supposed to be keeping you safe, but are instead making defective products that do more harm than good? If you have been seriously injured by another company's negligence, contact a New York injury lawyer at The Pagan Law Firm. We will fight to ensure you receive the compensation you deserve for your injuries. Have you been seriously injured in a New York, Brooklyn, Queens, or Bronx construction accident? Who is looking out for YOU? Don't trust workers' compensation to cover all of your injuries and lost compensation, because IT WON'T. Contact a New York construction injury lawyer at The Pagan Law Firm for a free consultation about your injuries and rights to compensation.